HKSAR Film No Top 10 Box Office: [2017.04.22] MIRIAM YEUNG DENIES "FREEZING EGGS"
Miriam Yeung Chin Wa yesterday attended her new film LOVE OFF THE CUFF (CHUN GIU GAU JI MING) charity photo collection and photo exhibit opening ceremony. 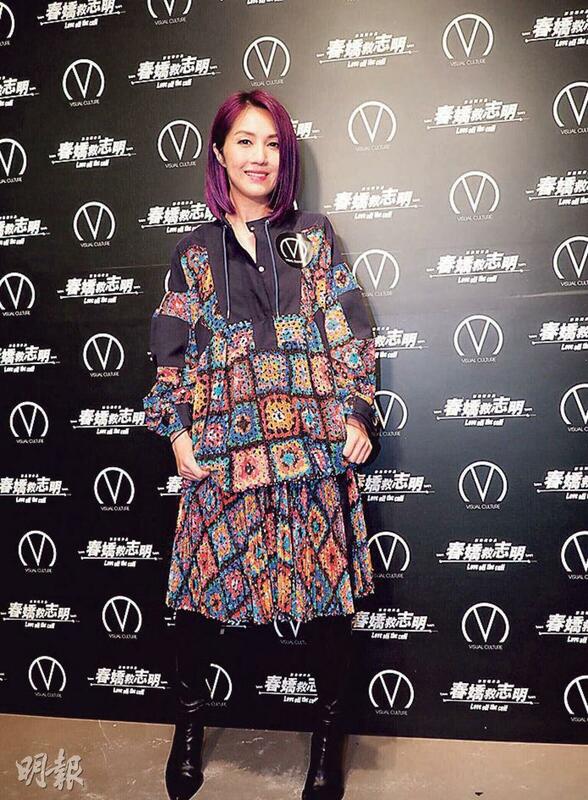 Recently busy with the film promotion, Chin Wa admitted that she was a little tired and believed that she would not have time to rest until the middle of next month. Earlier during Easter she spent four days with her son. Although her son Torres did not complain that she was not home all the time, she said that she felt guilty and took him to a theme park. Reportedly Chin Wa put on a nurse uniform to seduce Shawn Yue Man Lok in the new film before telling her husband Real Ting Chi Ko. Chin Wa denied the rumor. "Why would I do that? My husband knows all about it. He even chose the costumes for me from a man's point of view. He also told me to lose weight and not to embarrass him. Finally he chose a child costume that I couldn't even put on." Some said that Chin Wa wanted to "freeze her eggs" in preparation for another child. She said, "I didn't. Technically you have to do it while you are young for it to be effective. I was a nurse and would have knowledge in this area. I had my first child, I can keep trying harder."